Sherwood, WI (8/29/2018) - Countryside Auto Transport's Zac Zakowski is ready to shake off bad luck experienced in the most recent round at Bark River and looks to finish strong in the Lucas Oil Midwest Short Course season finale at Crandon International Off-Road Raceway. 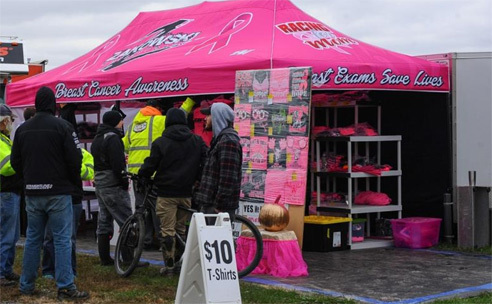 But no matter how he does on track, Zakowski will still be a winner during the weekend as he brings his popular breast cancer awareness T-shirt fundraising program to the racing weekend. Zakowski is celebrating his eighth year of raising money for breast cancer research and to help families dealing with the disease. Zakowski’s mother is a breast cancer survivor and her recovery encouraged him to organize the fundraiser. The T-shirts have become legendary in the off-road racing community. Though the race is in September, Zakowski thought it would be fitting to kick off the benefit at Crandon. The Crandon World Cup, one of the largest events in short course racing, is being held on the same weekend. Zakowski will then bring the fundraiser to the Ironman GNCC October 27, where he will unveil a brand new T-shirt design. He is also working on an ecommerce store to help support the cause year-round. Going into the Crandon race, Zakowski is looking to finish in the top five in points. 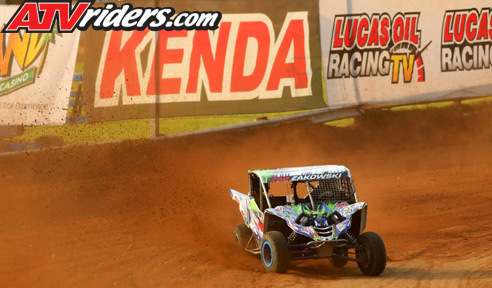 With the TORC Series folding late in the off-season and the late announcement of the Midwest Short Course series, Zakowski took a conservative approach to the 2018 short course season. Look for Zakowski to be competitive, and buy a shirt to support breast cancer awareness, during the Midwest Short Course season finale August 31-September 1. Zakowski will also be competing in the Crandon World Cup on September 2.